Next month, after “Mira” is out of quarantine, visitors can see this beautiful jungle cat, who is 12 years old. Her elderly owner, founder of the South Florida Wildlife Rehabilitation Center in Homestead, has a terminal illness and he contacted state wildlife officials to help him find homes for his animals. The Palm Beach Zoo and Conservation Society at Dreher Park is excited about their new resident and they say she is very affectionate with humans, and appears to have been well loved and cared for in her last home. Yet, panthers are known to be solitary animals. About 80 to 100 panthers remain in Florida, and they are now one of the most rare and endangered mammals in the world. The Panther National Wildlife Refuges is east of Naples, Florida. Panthers are at great risk of extinction. Mira has a few health problems, including curvature of the spine, but otherwise is doing well. 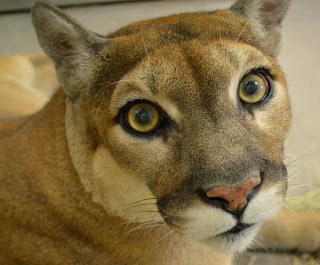 General curator Jan Steel says that having Mira, a “pure” Florida panther, is exciting and “It allows us to show the differences between the western cougar or puma and the Florida panther. 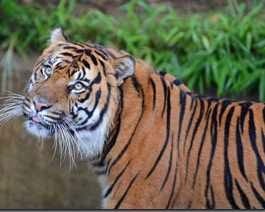 Three Malayan tiger brothers, Jaya, Bunga and Penari have left the Palm Beach Zoo for a new home at the Jacksonville Zoo. Since 1900 the wild tiger population has decreased by more than 95% and there is a Tiger Conservation Campaign among zoos. The Wildlife without Borders Rhinoceros and Tiger Conservation Fund funded 53 projects in 15 countries for these conservation project, implemented by the U.S. Fish and Wildlife Service, a federal agency of the Department of the Interior. Here is more information. The tiger pictured above is at the Smithsonian Zoo in Washington DC. The Zoo recently added “and Conservation Society” to its name to stress they provide care for endangered species, which has been part of their agenda for a long time. (Reuters) – UNITEDHEALTH GROUP dropped thousands of doctors from its networks in recent weeks, leaving many elderly patients unsure whether they need to switch plans to continue seeing their doctors, the Wall St Journal reported on Friday. To find the lowest priced Medicare Supplements, see http://www.naaip.org/insurewithMarilyn and you can sign up there or call 561-638-9818. 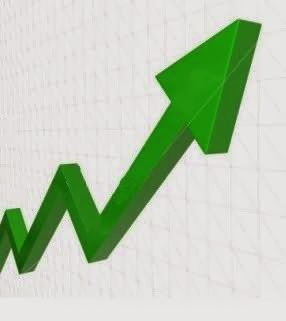 The national median home price showed its strongest annual growth in nearly eight years during the third quarter of this year, according to data collected by the National Association of Realtors. A whopping 144 of the 163 metropolitan statistical areas (MSAs) tracked by NAR showed gains between the third quarter of this year and the third quarter of last year. In 54 of those MSAs, the increases were in the double digits. The national median existing single-family home price was $207,300 in the third quarter, up 12.5 percent from $184,300 in the third quarter of last year. That's the strongest year-over-year increase since the fourth quarter of 2005 when the median home price jumped 13.6 percent. Condominium and cooperative prices rose 15.1 percent to a median $205,400 in the third quarter. One reason home prices are rising is that foreclosures and short sales are falling. Short sales are homes sold for less than what the owners owed on their mortgage. Foreclosures and short-sale homes typically sell at a discount. That can lower the value of nearby homes because appraisers look at all recent sales when they determine a home's current value. In the third quarter, only 14 percent of home sales were foreclosures or short sales. That's down from 24 percent a year ago. Across the country, about 2.21 million homeowners had their properties for sale, modestly higher than the third quarter of 2012, when 2.17 million homes were on the market. That's a 5-month supply of homes for sale, down from a 5.9-month supply in the third quarter of 2012.